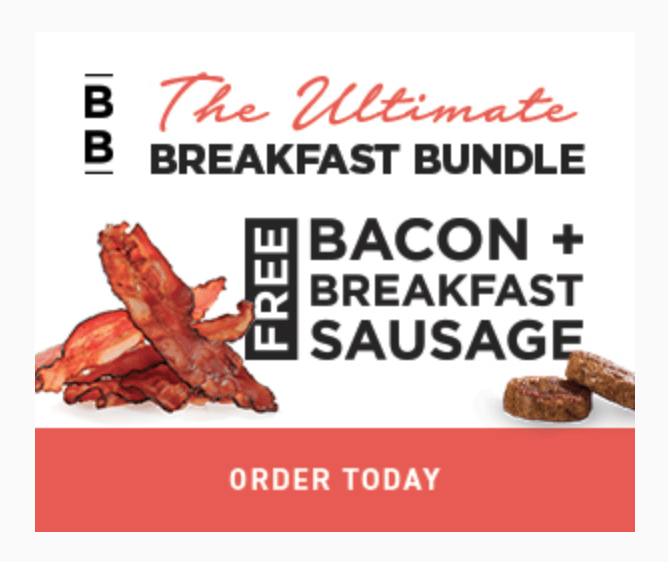 Home » ButcherBox » Butcher Box – FREE Breakfast Bundle! ButcherBox has an amazing deal for new subscribers! They are offering new customers a free Breakfast Bundle in their first box! That’s 2 packs of bacon & 2 pounds of sausage completely free in your first ButcherBox. No cou pon code is necessary – just use this link to sign-up. ButcherBox is a monthly meat subscription box. They offer four curated box options with different mixes of beef, chicken and pork. The contents change each month and include a mix of premium items such as ribeye, New York strip, and chicken breasts and convenience cuts such as roasts, sirloin steaks, and thighs.